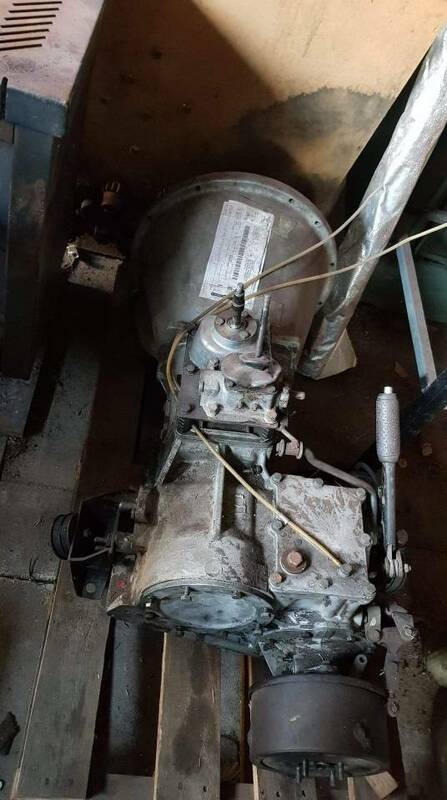 Steve, my brother in law has this sitting around, was a good running box, he has just pilfered the taper roller conversion out of it (re fit the non taper gears) if its of any help? Thanks Damien, but I think it's the TRB gears I'll need if mine have worn dogs. 1999 300tdi 130 single cab - "stock as bro"
That looks like a v8 rangie box?? Yeah it is, with isuzu bellhousing and .966 taper roller gears. Mine started jumping out of High range (4x4 Perentie) and it turned out to be worn bearings in the transfer intermediate cluster. I had the intermediate cluster refurbished (KLR) and the problem was solved. Yeah thats what the PO of my perentie had fitted. Id like a proper perentie box with the pto so i can get the winch working again. Any comments on this dog wear? 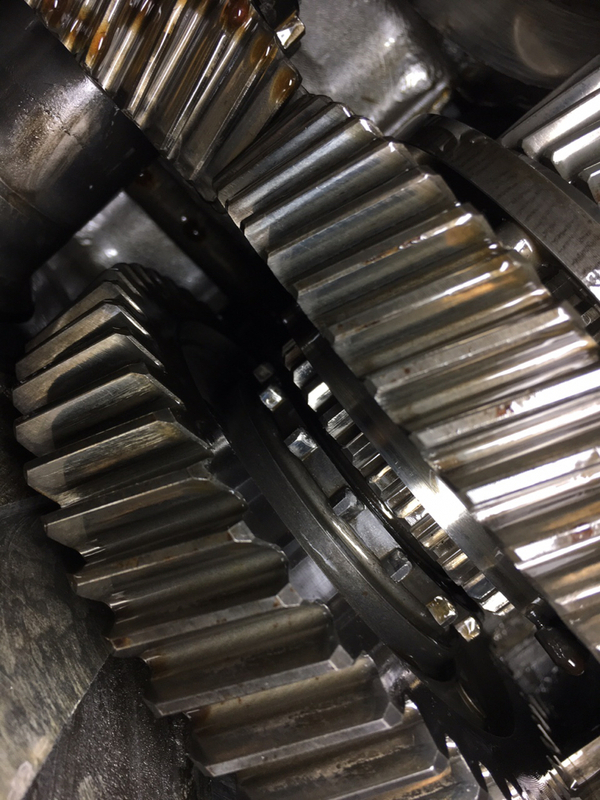 I watched the gears as my wife moved it from high to low range and back numerous times. It was obvious when fully engaged as it travelled approx 1-2mm further into engagement, but most times it would hang back that little bit. Exactly the behaviour I was getting from the drivers seat. It looks to be fully engaged against low range in that pic Steve. The hi range gear dogs do appear to have a taper on one side of them where they have been slipping out of gear. What type of centre or input gear is on that shaft. There are 2 types of input gear. The earlier type have a scallop on every 2nd tooth and the later ones have all straight teeth. This is on the engagement flange. See if you can get a picture of the side of the selector gear flange. Have you checked the bolt torque to see if it has come loose and is there any linear play on the gears on the shaft. I tried feeling for any linear play in the gears and they all seem rock solid. Haven't checked the torque but will do so tonight, and try and get a photo of the engagement ring. From what I noticed last night it had like half moon cutouts/relief a few mm deep in the outer edge before it went into the main teeth. Yes that would indicate the earlier type. Might be worth swapping out for a later type input gear and check the preload and fork clearances. I will get a couple of pics of the later type and the dogs on a new gear for comparison today.